The benchmark indices declined over 1.5 per cent on Thursday tracking the weakness in the Asian markets. The S&P BSE Sensex ended at 35,312, down 572 points, or 1.6 per cent, while the broader Nifty50 index settled at 10,601, down 182 points or 1.7 per cent. Among sectoral indices, the Nifty Bank index slipped 1.2 per cent weighed by Punjab National Bank and IDFC Bank. The Nifty IT index fell 2.1 per cent weighed by Infibeam Avenues, Tech Mahindra and Infosys. The Nifty Auto index, too, ended 2.2 per cent lower pulled by Maruti Suzuki and Tata Motors. 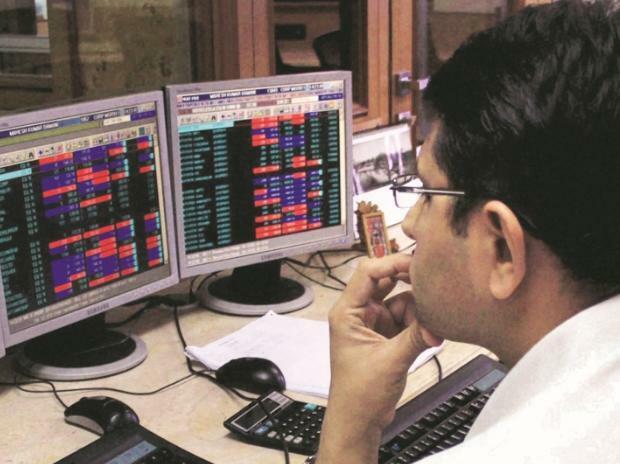 In the broader market, S&P BSE MidCap index settled 1.5 per cent lower at 14,684 levels, while S&P BSE SmallCap index fell 1.3 per cent to 14,143 levels. The rupee traded on a weak note during the day, breaching the 71-mark against the US dollar to hit 71.14 amid strengthening of the greenback. Forex traders said the strength of the US dollar against other overseas currencies and foreign fund outflows weighed on the local unit. Shares of ICICI Lombard General Insurance Company has moved higher by 2% to Rs 912 per share on the BSE in an otherwise weak market. The stock was trading close to its 52-week high of Rs 936 touched on September 17, 2018, in intra-day trade. In past one week, the stock of general insurance company has outperformed the market by gaining 14% after the private equity investor Warburg Pincus on Friday sold nearly three percentage point stake in the company through the open market. In comparison, the S&P BSE Sensex was down 2% during the same period. US stock futures and Asian shares slumped on Thursday after Canadian authorities arrested a top executive of Chinese tech giant Huawei for extradition to the United States, feeding fears of a fresh flare-up in tensions between the two superpowers. Japan’s Nikkei shed 1.9 per cent, closing at its lowest level since October 30. MSCI’s ex-Japan Asia-Pacific index lost 2.0 per cent. Hong Kong’s Hang Seng dropped 2.9 per cent while Shanghai shares dipped 1.7 per cent.